Hi everyone! Sorry it's taking me a bit long to get all my travel guides up but here's one for Hong Kong! I'm actually pretty native to Hong Kong so a lot of the recommendations will be local recs, but I'll definitely include some of the highlights of the touristy things I've done. 1. Download the Trip Advisor app and then download the map of the city you are visiting. If you don't have service or wifi it'll be really helpful to have a map of the city and be able to look up where you want to go. It also keeps track of your location to help you get where you want to go. 1. Hotel Icon - Hong Kong is pretty much separated into two areas: Kowloon and Hong Kong Island. In my opinion, there is way more to do in Hong Kong Island and I usually prefer being in that part more but there are certain parts of Kowloon that I love--one being Tsim Tsa Tsui (where this hotel is located). Hotel Icon is a bit further out from one of the more central subway lines (~10-15 min walk), but I think it's 100% worth it. It's super modern and cheaper and in my opinion, better than any other hotel I've stayed at so far. They have some pretty great perks that I'm kind of obsessed with..here's a few to name: the mini bar is stocked everyday and is all free, there is a pillow menu (you can choose the different kinds you want, ex. lavender scented, memory foam, etc. ), they provide a cellphone in every room for you to take around Hong Kong which you can use internet, domestic + international calling, and use as a wifi hotspot for free, and their breakfast buffet is bomb (best selection of western + cantonese food. ever. )..also it was included for us! 2. Ritz Carlton - Unfortunately it is a bit far, or else I would recommend this more. It is beautiful and also is home to the highest bar in the world (Ozone Bar). If you have a big budget for hotels, they also provide a telescope in each room for you to look out into the Hong Kong skyline! 1. Man Fai (Causeway Bay) - Super small local spot in the middle of Causeway Bay which has THE best cuttlefish seaweed noodles. Their beef tripe is also really good. It's always my must go to spot every time I go to HK. I'd avoid going during rush hours though, and be prepared to sit with strangers at a table--everyone's there to grab some quick tasty food. 2. Kau Kee (Sheung Wan) - Amazing beef brisket noodles with a long wait so avoid the rush of peak hours. 3. Le Persil Fleur - We had originally wanted to go to another restaurant but it closed earlier than expected. We jumped onto trip advisor and chose this quaint little restaurant, and boy was I surprised by how much I loved it. We ordered a crab and avocado tartare for an appetizer, and then the duck and lamb for entrees which were equally as good (although I'd recommend the duck over the lamb if you had to choose). We were a bit full to order dessert but they gave us these caramel crisps (shaped as potato chips) that I wish I could bring a bag back with me. 4. Mott 32 (Central) - We went for lunch and the dim sum was definitely different from what we've ever had--mostly because all the ingredients used were very high end. Instead of a shrimp har gow, they used lobster. We also ordered diced seafood convoy soup dumplings, siu man with soft quail egg, iberico pork and black truffle, wagyu cheek, spring roll with abalone and shredded peking duck, sliced group with black truffle, squab, their famous cha siew, and some cocktails. Needless to say we definitely ordered too much for two people, but it was all delicious. It was also the most expensive dim sum we've ever had, but definitely worth the experience if you haven't gone before. 5. Tsui Wah Restaurant (Tsim Tsa Tsui) - A tea cafe nearby our hotel which we loved so much we went twice. The tea cafes in HK have a TON of options for good food and they're all so cheap. For less than $20, we got an iced lemon tea, cuttlefish ball and fishball noodles, veggies, baked pork chop over rice, and soy sauce chicken wings. 6. Yung Kee (Central) - Famous restaurant known for their roasted goose. My favorite was their preserved century egg--it was done so well we ordered a second order to eat. 2. Hui Lau Shan - My favorite drink place--they specialize in different mango drink combinations (my favorite is the mango pomelo with sago). It's a chain store and they have them in many different locations around HK, although I've found that it's cheaper in less prominent areas in HK (ex. Mong Kok is way cheaper than the one in Causeway Bay or Central). They also have a bunch of different desserts/savory snacks you can have at the cafe. 3. Tai Cheong Bakery (Central) - Famous bakery in HK for their egg tarts--they were pretty good but I'm more a fan of Portuguese tarts so I wasn't that into them but there was a really long line of people raving about them. 4. Oddies Foodies (Central) - Egg waffles with gelato and toppings--I didn't get a chance to try it but heard great things! 1. Elephant Grounds (Wan Chai) - Australian cafe with really good ice cream and smoked milk affogato. There's also small sharing plates like fried chicken, taro chip nachos, and poke in case you're hungry. 2. Cupping Room - There are a few locations but their coffee is on point. 3. Veygo Coffee (Wan Chai) - Great coffee here, and they have amazing latte art. I ordered 2 cappuccinos, which I requested to have Totoro and Hello Kitty drawn in..they came out super cute! 1. Sogo and Times Square (Causeway Bay) - Causeway Bay is great for shopping and you'll find tons of stores everywhere but the two department stores I usually go to are Sogo and Times Square for more luxury brands. 3. Ladies Market (Mong Kok) - Go to Mong Kok if you want a bargain. Ladies Market includes a bunch of small shops that take up approximately 5 blocks. It's filled with tons of knock-offs of luxury brand goods (especially bags and Fendi look-alike bag bugs), or of little souvenirs you can buy to bring home for friends or for yourself to keep. The one tip is to always bargain. You'll get the price knocked down at least a little! There is also a lot of other shops around Mong Kok that sell trendy clothing for cheap. It's usually fun to take a look and get some things you normally wouldn't splurge on. 1. Victoria Peak (Central) - Probably the best view of Hong Kong. Take the tram up and head up to the Sky Terrace 428 for photos. I actually really loved the Madame Tussaud's in the building as well. 2. Sai Wan Swimming Shed (Kennedy Town)- A bit out of the way but really pretty views of the water and photogenic. A bit of a hike to get there and got bit by two mosquitos in the dead of winter but still glad I went. 3. Big Buddha (Lantau Island) - A bit far and a pretty long walk up, but it's one of the 5 large buddhas in China. Love this dress with the amazing pattern! Love the dress you have on. Glad you had a great time. You are looking gorgeous on these pics, Your post on your tour experience of HongKong is useful for me to know the places to visit and ideas. 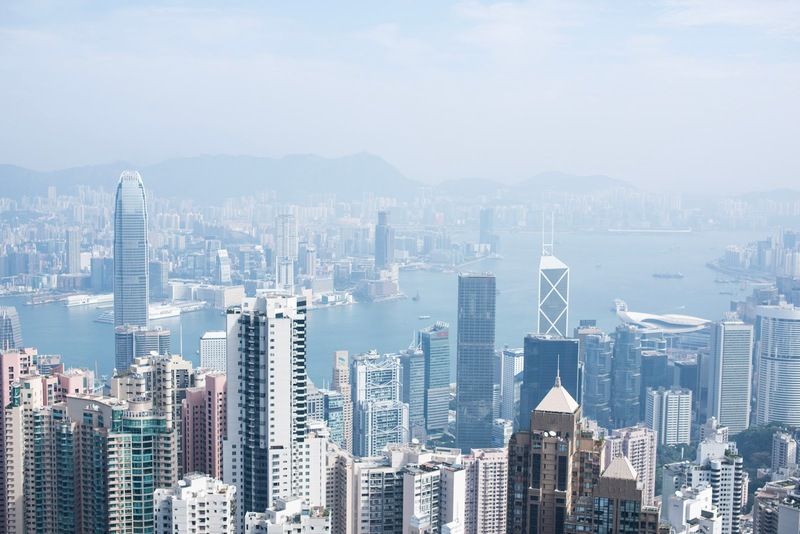 Get the best Travelling Tips For Hong Kong to visit on Destinationyou.